Looking for security? Use your brain! I’m fascinated by neuroscience and things related, like emotional intelligence and neuroleadership. It’s most amazing that scientists can watch us think and see how an emotion drives a thought. And how we can stop it–or not, as we choose. Our ability to be intentional in our actions is supported by the physiology of our brain. Did you know that scientists tell us now–with certainty–that there is a brain formula for changing? It’s focus + repetition. Our brains are creatures of habit (making us creatures of comfort), in that the strongest synapses–or connections between nerve cells–in our brains are those created by doing things over and over. Doing something new means creating connections (synapses) that don’t exist. So it’s not so much hard, as it is uncomfortable. That’s why change takes some time. We’re literally growing new brain connections to support the change and make it more comfortable, so that the change becomes the habit, or default! Now, another piece: scientists also tell us that the brain can not distinguish between “real” and “imagined.” [This is what the placebo effect is all about: if I think this pill will ease my pain, it will. And in recent studies at Columbia & U of M, placebo medicine worked in over 30% of patients.] So then it follows that “imagined” practice is a good thing–maybe not as good as the real thing, but very helpful for preparing ourselves for change. Still one more piece: our mindset. How we look at our abilities and qualities is a “fixed mindset” or a “growth mindset.” A fixed mindset, according to Carol Dweck, author of Mindset, is one that believes qualities are carved in stone, er, tin. This mindset keeps us stuck: since we have a finite amount of whatever–intelligence, personality, integrity, kindness, etc.–we have to continually prove that what we have is enough because 1) we don’t want to be judged inadequate and 2) we won’t get any more. So every situation becomes a challenge, or a contest to make sure we look and behave “enough” or better than enough. A growth mindset, on the other hand, believes that our abilities and qualities are things we can develop. We can change and grow and cultivate our talents and skills to constantly learn and become better. This mindset is one that is willing to confront challenges and take the risks associated with a difficult task, because hard work and desire make changes happen. Is your mindset helping you or increasing your job insecurity? 3) develop a view that embraces learning as something that never stops, so whatever challenge we face we can tackle with hard work and belief in our ability to change. Whether your current employment is solid or not, your ongoing challenge is to stay ahead of what your employer needs, to become change-agile without being told. What are you doing to increase your knowledge and improve your ability to contribute to your organization? Are you waiting for your manager to tell you what you need to do to stay relevant? Or do you whine and complain (aloud or inside) about every change you need to implement because “things were so much easier in the old days”? >> step outside of your job box and look at your workplace like you were the owner: where can you cut expenses, where can you improve how things get done, what tasks might be picked up now that have slipped away during busy times, how can you improve your repeat customer business? >> what are your competitors doing around new products and services? Knowing what’s happening in the industry and with a little competitive intelligence, you’ve put yourself in a position to discuss near- and longer-term business strategies. For too many years, we’ve counted on going to work, putting in time, and getting a paycheck at the end of the week. The landscape has changed and people are coming face to face with that new business reality…a new economy means new ways of working. You have the brains, the mindset and ability to use what science now knows to increase your own employability and work-agility. None of us is required to stay in an outdated environment using outdated skills and be stuck until someone else decides our fate. All of us, you included, can step up, be responsible, take action and use your brain for your own security. While we’ve become very casual in our dress, there are still establishments that insist on doing business on their terms. In restaurants, “their terms” often are: No shirt, no shoes, no service. And, unless we’re really into pushing the envelope, if we don’t fall within those terms, we go elsewhere. In fact, most people don’t think much about it–if we’re not dressed for one place, we’ll go to another. And if we wanted to eat at a particular place, we would go dressed appropriately: we wouldn’t expect the owner to provide us with a shirt or shoes. They don’t get it. Do you? Employees today need to look and act more like consultants than, well, employees. Work is project-focused, and the # 1 characteristic needed by employers is flexibility–the ability to move quickly and change direction ‘on a dime.’ With competitors across the globe, most organizations really don’t need employees- – those people who get a paycheck regardless of whether they really produce or not–they need partners and consultants who come and go as the work does. Consultants who work steadily have the ability to morph their offerings into the service needed for the project at hand, no thanks to their ability to “read” what the organization has need of next. Consultants follow organizations’ missions, direction, competition and figure out their “pain”… and then provide services to ease or remove that pain. And partners…they do whatever it takes to drive success, and they do it without a job description! Has your shirt kept up with the workplace and your organization’s industry? Are you ready, are your skills upgraded and improved so you’re ready to tackle new challenges, in new ways, to keep up with new competitors? Your department training budget has been cut…so? Pay attention to your own skills development, not only to keep up but to be ahead of the curve, and ahead of all the others who will be wearing better looking shirts when the company needs to ramp down one area and ramp up another. Are your shoes tucked under your desk or are they moving you into alignment with your company’s shifting needs? If you’re sitting and waiting to be told what to do, or worse yet, playing the “that’s not my job” game, you’ll be sitting there until they shut down your email and don’t tell you why. Now’s the time to be curious, to be taking initiative, to be engaged with what your business and customers need. What new development is going on? How are next quarter’s objectives shifting the direction of your group or division? What new business direction can you see that would open up new client bases? Who can you pull together in a team to figure out how to reduce expenses (without being asked) and to increase or add customer services? This is one time you want to wear out your shoe leather proving your alignment with big and small business strategies. Your service is what creates the partnership for a secure working relationship. As an employee, when’s the last time you intentionally looked at your organization’s competitors to see how your company stacks up? What services or products do they provide that your organization doesn’t? If your competitors have better customer service than you, what have you done about it? How do you get others in your company to come together and change your customer offerings? It’s not my job goes nowhere in today’s economy and harms every organization where this phrase is used…and it’s just a matter of time before it catches up with the employees who use it. Clean up your shirt, polish your shoes and ramp up your service! If you want to play the game, you have to look the part; to dance, you have to pay the piper. You make your own opportunities. When you provide excellence and quality that clearly support the organization’s mission, and when you care enough to go against the tide of ‘how things are done around here,’ you become an asset that is difficult or impossible to replace. 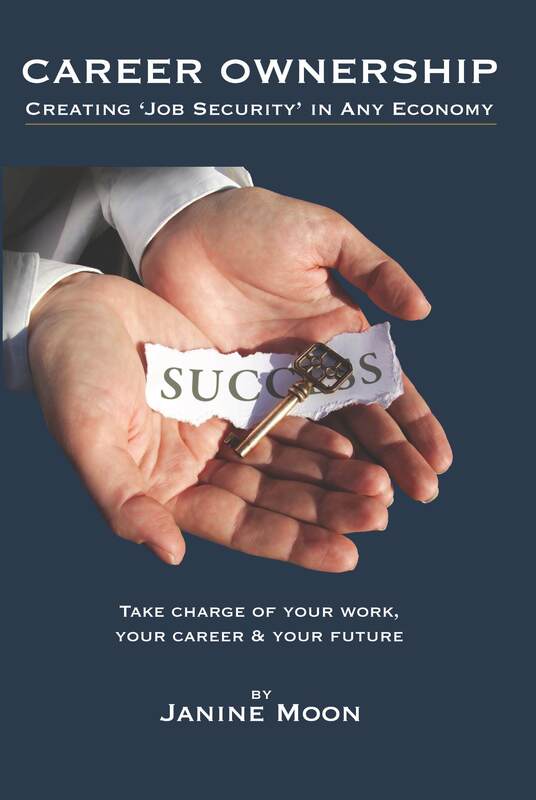 You become an owner…not only of your organization’s success but also of your own career path.